Mike Colombo is a seasoned global marketing leader and strategist with 25 years of experience. He has travelled the world to successfully launch software and services into global markets for enterprise organizations. Mike has been passionate about global marketing from the earliest age. Even as a kid growing up in Alberta, Canada, he was fascinated with the way global companies combined compelling messaging and great imagery to build their brands. 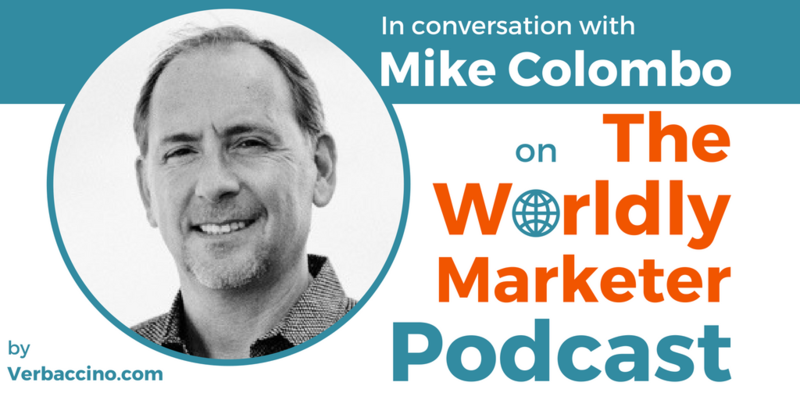 Today, Mike is the Chief Marketing Officer at Cloudwords Inc., a software provider based in San Francisco that helps global brands deliver more localized content, in more languages, to more customers around the world, in a more speedy way. Mike is a strong believer in the digital transformation of global marketing by automating workflows, connecting marketing shareholders, and scaling communications to more deeply engage more customers more efficiently.